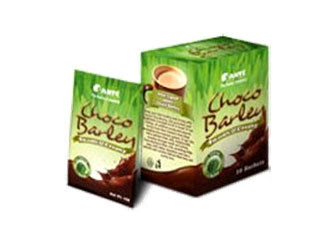 Keep your kids healthy and strong with Santé ChocoBarley, the yummiest and healthiest chocolate drink in town! Each sachet has 250mg of certified organic young barley grass powder from New Zealand. Organically grown barley grass has no harmful pesticides or chemical fertilizers. Young barley grass is rich in vitamins, minerals, enzymes, and amino acids for complete nutrition. Barley grass has 10x more calcium than milk, helping children develop stronger teeth and bones. Santé ChocoBarley is also fiber-rich, providing little ones with better digestion. It has a smooth and creamy texture that they will surely love!